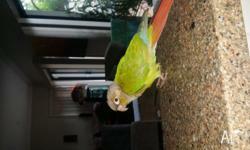 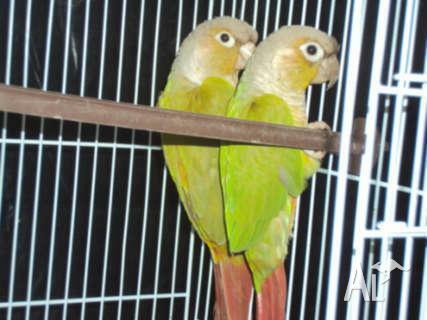 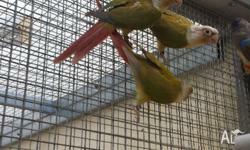 Pineapple Green Cheek Conure Breeding Pair DNA Cert. 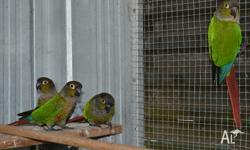 Female green cheek, very tame hand raised. 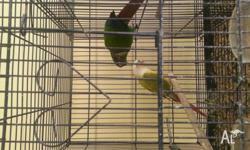 Comes with cage and food. 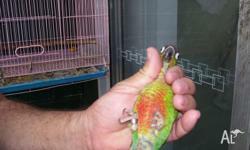 Umina.